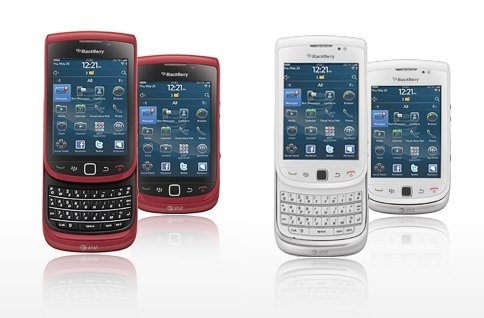 BlackBerry Torch available in red and white | BlackBerry Blast! If you're bored with the standard black color of your BlackBerry Torch you now have an alternative. The new colors, Sunset Red and Pure White, can be found on AT&T's website. When you're ready to order you can pick one up for $99 on a 2-year contract, or $499 off contract.